The difference between land use and zoning can be a little confusing. Land use is an area’s preferred character – urban, suburban, natural, industrial – and isn’t property-specific. Zoning classifies specific parcels or lots in alignment with the preferred character designation, along with regulations for building and structure designs, placement and uses. In the years after the Comprehensive Plan was adopted, a few properties were rezoned to Planned Development Districts (PDDs) to achieve the preferred Suburban Commercial character since Suburban Commercial zoning districts didn’t exist. 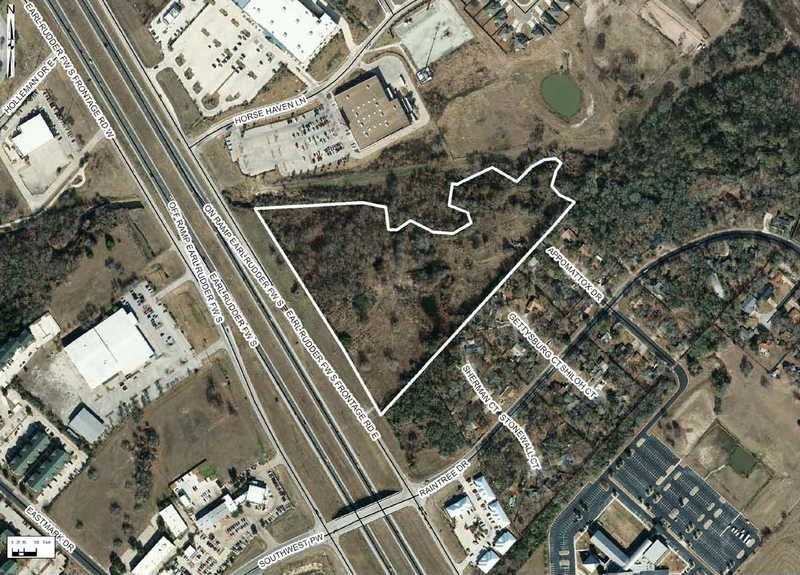 The PDD zoning previously approved on the tract next to Raintree is an example of one that was comparable to the Suburban Commercial zoning districts that were created last fall. As described in the Comprehensive Plan, Suburban Commercial “is generally for concentrations of commercial activities that cater primarily to nearby residents versus the larger community or region.” Generally, these areas tend to be small and are located next to major roads or existing residential neighborhoods. Structures in Suburban Commercial areas are required to be compatible in size, roof type/pitch, architecture, and lot coverage with the surrounding single-family residential uses. Retail buildings can’t exceed 15,000 square feet. Restaurants can’t be larger than 8,000 square feet. Double buffering requirements from single-family land use or zoning. Site lighting can’t exceed the eave height of the most adjacent structure. Drive-thru uses such as dry cleaners, banks or pharmacies must locate their order box/window on the side away from single-family land use or zoning. Drive-thru restaurants aren’t permitted. Fuel sales and self-storage aren’t permitted as new uses, but are grandfathered if they were there before being rezoned as Suburban Commercial. Architectural requirements were also created for Suburban Commercial that can be compared to residential. Some of the required features mimic those found on single-family homes such as chimneys, cupolas, shutters and transom windows. As examples, think of the residential-type architecture used by the Cheddar’s restaurant on University Drive or the offices adjacent to Raintree as the types of development that can happen in a Suburban Commercial area. The expectation is that Suburban Commercial areas will create neighborhood hubs for quick trips to the store and places for neighbors to meet and grab a bite to eat. Click here for more information on Suburban Commercial and other new zoning classifications, or email me at mhester@cstx.gov. This entry was posted on May 17, 2013 by City of College Station. It was filed under Planning & Development, Public Communications and was tagged with rezoning, suburban commercial, Zoning.